You Want Me to Do WHAT With My Coffee? Most of the news about coffee and tea and our health involves ingestion of said beverage, and how the various chemicals and ingredients passing through our stomachs affect us for the better (or worse). There are also non-ingestive uses for tea which most folx have probably heard about. You can make poultices, or take a soothing tea bath using a variety of herbal teas. But this is the first I've heard of a non-ingestive use for coffee. Coffee enemas rapidly help remove toxins from the liver. They often provide quick relief when one is fatigued, sleepy, has headaches, or is just feeling poorly. They also help against spasms, precordial (heart, throat, chest) pain and difficulties resulting from the sudden withdrawal of all intoxicating sedation. A coffee enema, when done properly, causes the liver to produce more bile, opens the bile ducts and causes the bile to flow. In this process, a toxic liver can dump many of its toxins into the bile and get rid of them in just a few minutes. This often gives great relief to all parts of the body, and often makes the difference between lying down feeling miserable and feeling good and being active. Coffee enemas are also effective in relieving pain. Patients with cancer, for example, may achieve relief from pain even when drugs failed. Is this new news or am I just out of the loop of ... ummm ... various alternative forms of detoxification? I confess, I don't go looking for this kind of information. I know there are people who swear by their high colonics, but ... well, I just can't imagine a worse use for coffee. However, these folx make a special brand of coffee specifically made for this purpose. No kidding. Special Enema Coffee -- "organic coffee available that has been specifically blended and roasted for enema use". Apparently it tastes awful, so if you run out of coffee, don't raid the enema stash. I have a sick sense of humor, I know. I find this really funny. Whoooops, almost missed Chocolate Friday! I've had a busybusy day, which started out badly, as I was out of coffee. But GloryThanksBeToDog, my grocery store has just opened a coffee shop, complete with espresso, biscotti, muffins, and comfy couches. I thought about just planting myself there for the rest of the day, but I had things to do, people to see, calls to make and muffins to bake. So I bought myself a superdoopergrande latte and went on about my shopping. ANYway, so now, here I am at the END of the day, finally getting 'round to ChocoFriday stuff. This week, some articles on ways that chocolate is good for you. A German chemist in the 1800s said, "Chocolate is a perfect food, as wholesome as it is delicious, a beneficent restorer of exhausted power." Smart man. Researches find dark chocolate may help curb smoking addiction - if only I still smoked! Chocolate could improve health - you can't say enough good stuff about chocolate for me! A great sports drink? It's chocolate milk! - I don't think this will ever fly. It's not the energy renewal or nutrients at issue here. It's the ... hmmm, scuse me here ... it's the phlegm. You don't want something coating your throat when you're breathing hard. Stock up on chocolate, it's good for you! First, Coffee is apparently the #1 source of antioxidants in the U.S. diet, according to a study done by University of Scranton (and funded, interestingly, by the American Cocoa Research Institute). That's a good thing, because coffee drinking is on the rise, and antioxidants have been linked to a number of potential health benefits, including protection against heart disease and cancer. "Coffee came out on top, on the combined basis of both antioxidants per serving size and frequency of consumption, Vinson says. Java easily outranked such popular antioxidant sources as tea, milk, chocolate and cranberries, he says. Of all the foods and beverages studied, dates actually have the most antioxidants of all based solely on serving size, according to Vinson. But since dates are not consumed at anywhere near the level of coffee, the blue ribbon goes to our favorite morning pick-me-up as the number one source of antioxidants, he says." Secondly, Black tea is good for your teeth! Who knew. According to a Chicago College of Dentistry study, people who rinsed their mouths with black tea multiple times a day had less plaque buildup than those who rinsed with water. Polyphenols in tea apparently suppress the bacterial enzyme that triggers plaque accumulation. I assume drinking tea would be about the same. 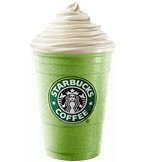 Gourmet coffee houses have recently introduced a whipped frozen green tea drink which includes sugar and fat content that increases the buildup of bacteria in the mouth due to the heavy sugar content in the whipped cream-covered, fat-filled, sweetened drink. 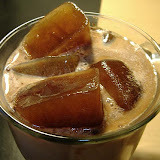 Those drinks are also made with green tea extract, rather than traditional fermented black tea which offers the cleansing effect mentioned in the dental study. So drink yer black tea black, and feel no guilt! 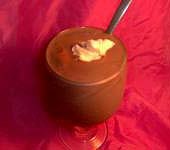 Low Fat Chocolate Recipes - From Low Fat Lifestyle. This is a great collection of recipes from a woman who obviously knows wherein she speaks. For general low fat substitutes, she recommends substituting cocoa for bakers chocolate, or even better, use dutch process cocoa (smoother and less harsh than regular cocoa). She also recommends using applesauce and prune puree (baby food prunes work well) as substitutes for the fat ingredients in other recipes. Chocolate Peanut Butter Pie Recipe - From CDKitchen's Low Fat Dessert Recipe collection. I'm not usually a peanut butter and chocolate fan, but this sounds good. Vegan Low Fat Chocolate Cake - from animal-free recipes of The Vegan Chef, who also brings us Vegan Chocolate Ganache to glaze the top. For eggs, use 1 egg plus 2 egg whites for every 2 eggs OR use egg substitute. Instead of ice cream use frozen lowfat or nonfat yogurt, sorbet or ice milk. Substitute sour cream with plain lowfat or nonfat yogurt, or lowfat or nonfat cottage cheese - blended until smooth. What? No substitutes for cream cheese???? How will I manage? Heh. That's IF I ever decide to eat healthy or low fat. Yeah right. Ok. We now return you to your regularly scheduled NON-healthy lifestyle. prevent & cure consumption and "the Cough of the Lungs"
See, now, I have a good reason for all the coffee I drink. God forbid I should miscarry or deflux! Thanks to Bloggle for the link. Echinacea tea - will it really do any good? In a double-blind, placebo-controlled clinical study of 95 people, treatment with an echinacea tea preparation (Echinacea Plus®, Traditional Medicinals) early in the course of a cold or flu was significantly more effective in relieving symptoms than a placebo tea. For the 90-day study, participants reported for assignment to one of two treatment groups at the first onset of cold and flu symptoms (scratchy throat, runny nose, fever, etc.). The subjects drank 5 to 6 cups a day of echinacea or placebo tea on the first day of symptoms, reducing the dosage to 1 cup per day for the next five days. Results were assessed with a questionnaire that measured symptom relief, duration of symptoms, and time before subjects noticed a difference in symptoms. The echinacea tea was significantly more effective than placebo in all parameters measured. No side effects were reported in either group. Echinacea Plus is a proprietary blend of E. purpurea and E. angustifolia leaves, flowers, and stems, a water soluble dry extract of E. purpurea root, and flavoring herbs. Eater's Digest® (Traditional Medicinals) was selected as the placebo tea because it was not expected to have a significant effect on cold or flu symptoms at the dosages used in this study. Among other herbs, Eater's Digest contains cinnamon, ginger, and peppermint. Lindenmuth GF, Lindenmuth EB. This article originally appeared in The Journal of Alternative and Complementary Medicine 2000; 6(4): 327-334. Ok then! It's better than a sugar cube. I'll brew up some more!